Black Ant belong to the Hymenoptera (membrane winged) order of insects. They are social insects with a highly evolved caste system in which workers (sterile females) build the nests, raise young and forage for food under the direction of the queen. They usually nest outside, walls and under paving however, it can become a pest when foraging indoors in search of food. 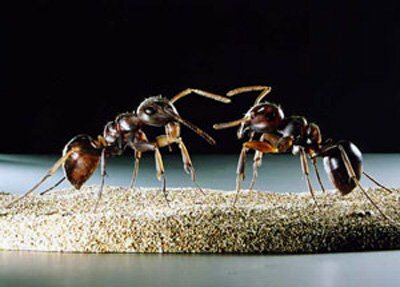 If you suspect you have an ant problem, call us for more advice on 01992 763776.